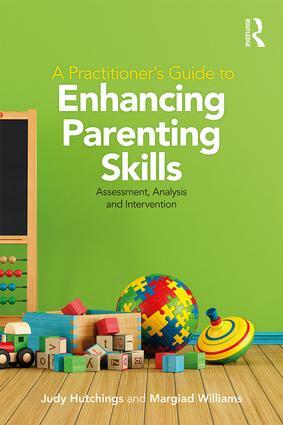 A Practitioner’s Guide to Enhancing Parenting Skills: Assessment, Analysis and Intervention offers a detailed and stepwise approach to problem behaviour analysis and management, based on the successful and evidence-based Enhancing Parenting Skills Programme (EPaS). This unique programme, based on 40 years of Professor Hutchings’ clinical work, draws on social learning theory (SLT) principles designed to support families of young children with behavioural challenges. In this book, Hutchings and Williams combine clear practical guidance with case examples and useful checklists to deliver SLT-based interventions tailored to the unique needs of individual families. The case analysis identifies the assets and skills in the home situation and the functions of problem behaviours before creating a set of achievable goals. The latter part of the manual includes examples of intervention strategies to address several common problems, including toileting, eating and night-time problems. This book is an invaluable tool for all practitioners working in Early Years including CAMHS primary care staff, social workers, clinical psychologists, health visitors and school nurses.